The ADS1204 is a four-channel, high-performance device, with four delta-sigma ( ) modulators with 100dB dynamic range, operating from a single +5V supply. The differential inputs are ideal for direct connection to transducers in an industrial environment. With the appropriate digital filter and modulator rate, the device can be used to achieve 16-bit analog-to-digital (A/D) conversion with no missing code. 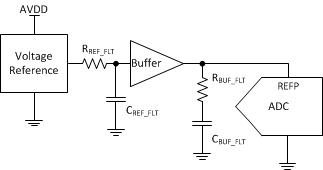 Effective resolution of 12 bits can be obtained with a digital filter data rate of 160kHz at a modulator rate of 10MHz. The ADS1204 is designed for use in medium- to high-resolution measurement applications including current measurements, smart transmitters, industrial process control, weight scales, chromatography, and portable instrumentation. It is available in a QFN-32 (5×5) package.